MELBOURNE, Australia (CNS) — A Melbourne court began a monthlong hearing to see if a top Vatican official would stand trial on decades-old charges of sexual abuse, which he consistently denied. 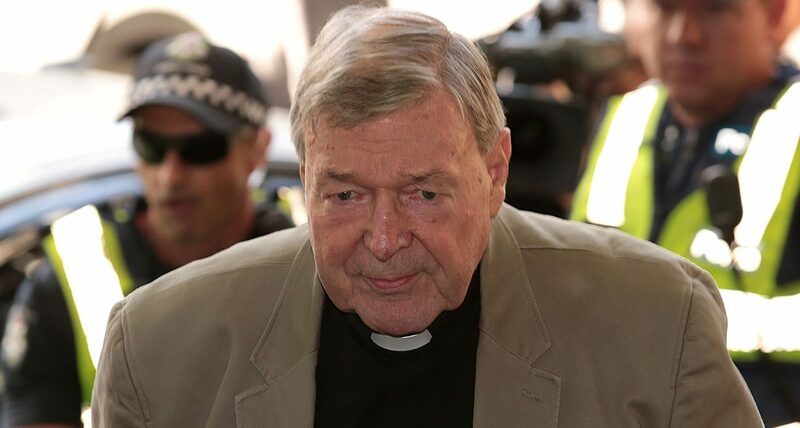 Cardinal George Pell, head of the Vatican’s Secretariat for the Economy, appeared in Melbourne Magistrates’ Court March 5 for a committal hearing scheduled to conclude by March 30. The cardinal has taken a leave of absence from his position to face the charges in Melbourne, where he served as archbishop from 1996 to 2001. No charges have been announced against the cardinal, but his lawyer told the court he believed Victoria police investigated the abuse claims presuming he was guilty, instead of presuming he was innocent. The lawyer said some witnesses’ written testimony could help clear the cardinal of some of the charges. Up to 50 witnesses could be called during the committal hearing; much of the hearing will be conducted in private. More than two years ago, Cardinal Pell called for an independent inquiry into the leaking of accusations that he was under police investigation for the alleged abuse of minors. He said media leaks by someone within the Victoria police undermined the work of the Royal Commission Into Institutional Responses to Child Sexual Abuse, a government inquiry into church, state and other institutions’ response to the sexual abuse of children. In February 2016, Victoria’s The Herald Sun reported that “legal sources” told reporters more than a dozen special task force detectives had been investigating past claims that the cardinal abused between five and 10 boys when he was a priest in Ballarat and archbishop of Melbourne. Earlier, a court had cleared the cardinal of one of those charges.